Conferences are a great place to learn new things, meet interesting people as well as grow your lead generation and sales. Unfortunately, they are time consuming and can be expensive. Including travel, you’re usually looking at about 3–4 days where you’re pulled away from your normal day-to-day and you end up spending a few thousand dollars when all is said and done. I love conferences, but it’s impossible to go to all of the one’s you’d like. So what do you do if there’s a conference that you think could be beneficial to your company but you don’t have the time or budget to attend? I’m going to outline exactly what I did for the Saastr conference a few weeks ago and show you how I was able to generate leads for just $1.43 each. Every conference has a hashtag now. Conferences are when people are typically most active on Twitter. Some people only use Twitter when they’re at conferences. With Twitter ads, you can target people who are using certain hashtags, so all you need to do is find out what the conference is using and enter it in your targeting. While others are standing on their feet all day, manning exhibit booths, you can be hanging out at your office as the leads come in automatically. 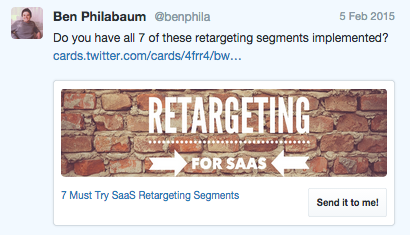 There are different ad units on Twitter. You can run a standard Tweet with a link to your site. Or a Tweet with an image. But what we are going to look at is the Twitter Lead Gen ad. A user sees your ad in their stream or in the search results, they click on it, then they see your lead gen card which gives them the option of sharing their email address to you with just 1 click. I knew my audience at the conference was mainly people who worked at SaaS companies. 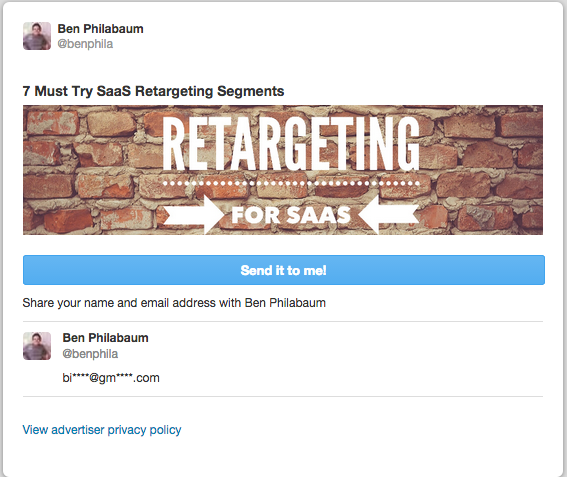 So I took a blog post I had written about retargeting for SaaS, turned it into a PDF with more information and used that as my report for them to opt-in. The really great thing about leadgen cards is that you only pay if someone opts-in. So if say hypothetically your ad converts horribly and 1,000 people click on your ad but only 1 opts-in, you only pay for that 1 lead. Not for the 1,000 clicks. So there’s essentially zero risk. 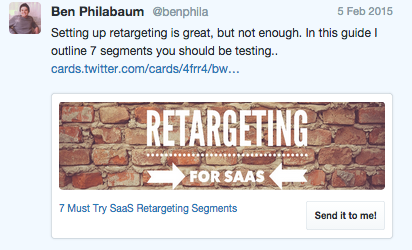 You’re copy should be consistent with the Tweet copy, but provide extra detail or reason for why they should opt-in. They’ve shown interest by clicking once, now you just have to pull over the edge for one more click. Make sure that your ‘legal-bribe’ is benefit driven and directly rates to their success. Make it clear how whatever you are offering will make a difference to their business or life. Now you click on ‘Create a new campaign’. Enter the location you want to target. If the conference is in Portland, enter Portland. Then you’ll create your copy for the Tweets. You can create multiple variations and split test them. Enter the hashtag in the “Keyword” targeting area. You can also select which devices you want to target. I usually leave all of them checked. Since it’s a 1 click opt-in within Twitter, you don’t need to worry about how your landing page looks on mobile – so you can still target mobile devices. Most people at conferences are on their phones a good portion of the day so I’d highly recommend targeting mobile + laptop. 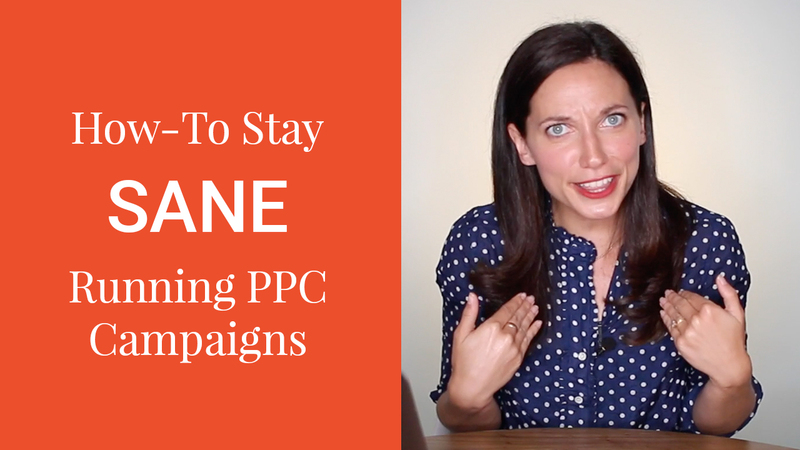 Set your max cost per lead. This is the most you’re willing to spend to generate a lead. 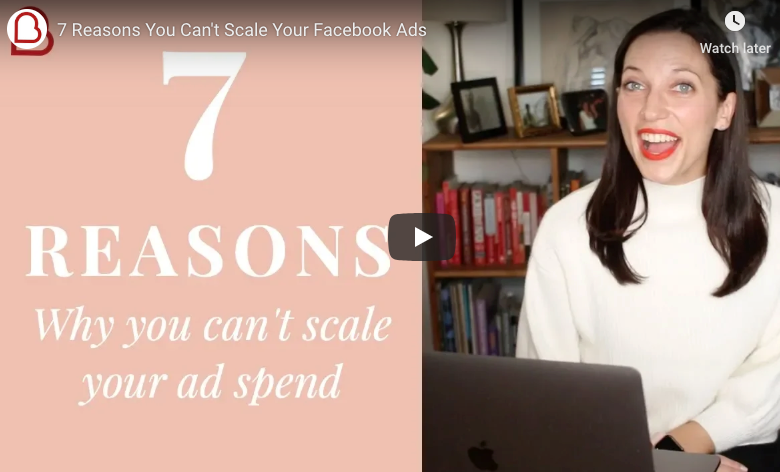 I’ve typically seen that you should bid around $6/lead in order to get your ads running, but the actual costs can be far below that. Then you set your daily budget and max total budget and hit publish! 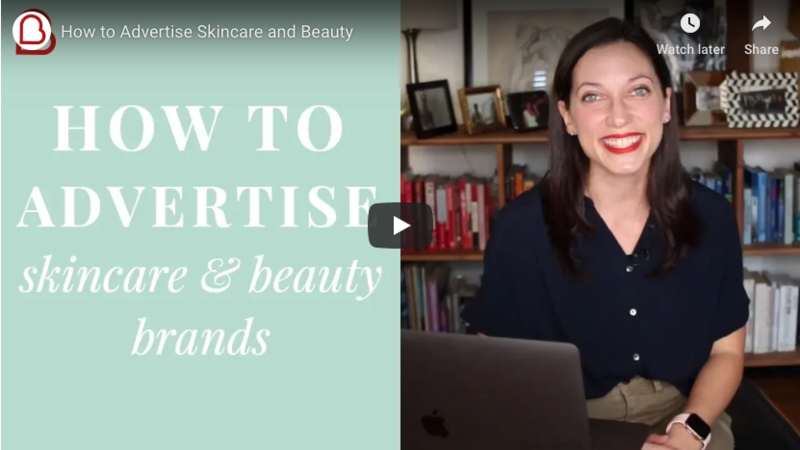 From there, you’ll want to monitor the performance of your ads and if you see one converting below the other ad, turn it off and rotate in a new ad to test. Give it a try for the next conference you can’t attend. If you need help setting it up, go here.